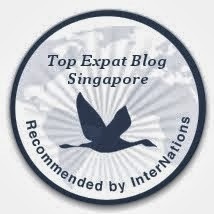 I was recently nominated by the delightful Singapore Actually for a Liebster Blog Award. I had no idea what these were but having read her post and a few other peoples since I gather they are a way of showing love for blogs you follow - how lovely and thank you! If you are yet to discover Bookjunkie's Singapore Actually blog you really should do so. She has a talent for spotting the interesting and beautiful in all manner of everyday things here in Singapore. I also love reading her viewpoint on things going on here and have discovered many delightful things to see or visit from reading her blog. 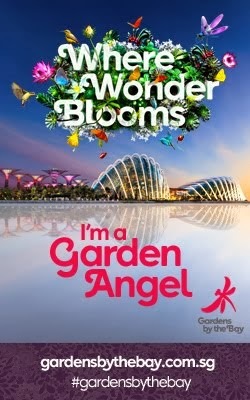 The phrase, 'ooh I saw that on Singapore Actually's blog' has to be used at least once by me nearly every weekend! 'Liebster' means 'favourite' or 'dearest' in German (pleased to say that is some German that I do still remember from my school GCSE days). This award, which originated in Germany, recognizes up and coming bloggers with less than 200 followers. A fellow expat and thoroughly lovely person who shares her personal experiences on her life in Singapore. Definitely worth reading and also a great photographer too. Another lovely expat who I've the good fortune to know in person sharing her experiences of all she is doing here in Singapore honestly and with a fun style. Absolutely worth taking a look at. Claire has only been in Singapore a short time but her blog is already a must read on my personal blog reading list. Particularly as she shares all the new experiences she is encountering on life here since arriving. It's nice to read, remember and relive all of that again through her blog. I had the good fortune to meet Kate through a love of pub quizzes and us both writing for the notatourist.sg website. Her blog is great and her writing style and recounting of her experiences makes for an interesting and insightful read. 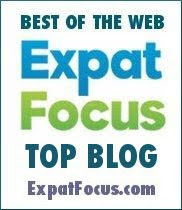 Finally one non-expat blog but one I enjoy reading just as much. Lynne is a good friend from home and a former work colleague. She shares on her blog all the things she is now doing since her retirement in 2010. She is also a fantastic photographer and her Flickr stream (which you can access from her blog) is well worth taking a look at too. I hope to read who they've selected in due course and hopefully I'll discover some other great blogs in the process. You are very welcome, love your blog :-) and I shall have to check out the blogs you've nominated.